I won a case of No Fear energy drink as a runner's up prize on the No Fear Extreme Energy page on Facebook on 26th July 2012. I received it on 31st July 2012. It's a good runners up prize! 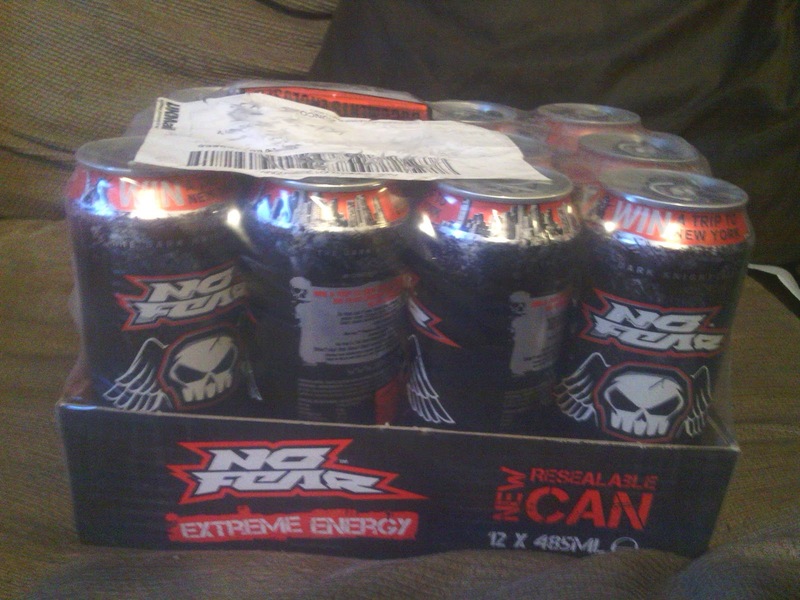 While I'm not the biggest energy drinks fan ever - I don't mind the occasional one when I really need an energy kick - my hubby is borderline addict to energy drinks lol so he was very pleased when the delivery came. Thank you very much to No Fear!